The Pound Australian Dollar (GBP/AUD) exchange rate may receive a boost on Thursday with the anticipated Bank of England (BoE) interest rate decision. Analysts forecast the rate will receive a 25 basis point increase, marking the rate up to 0.75%. 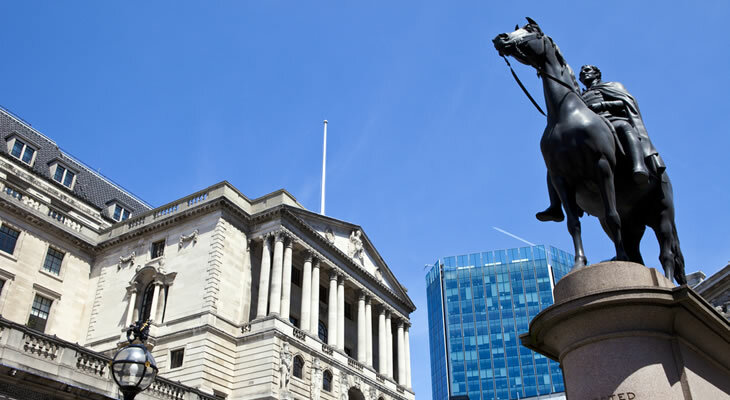 While indications point to a rate hike, there is no guarantee of this outcome and Sterling (GBP) may still struggle to make gains against the ‘Aussie’ (AUD) should BoE policymakers indicate that the rate increase is a temporary measure. Beyond the BoE interest rate decision the Pound has remained fairly stable in the absence of further Brexit developments and major data releases, increasing investor hopes that the Pound might regain some ground on Thursday. Pound Sterling (GBP) depreciated against the Australian Dollar (AUD) on Tuesday morning due to increased confidence that the US-China trade dispute might settle down. However, markets made a quick about-face with news that the White House might impose even stricter tariffs on $200bn worth of Chinese goods, weakening AUD against the Pound. AUD losses were limited throughout Tuesday’s session otherwise, as an increase in investor risk appetite saw higher demand for the commodity-correlated ‘Aussie’. AUD to Catch a Break with Release of Latest Trade Figures? The Australian Dollar (AUD) may trade higher today with Australia’s Balance of Trade figures due to be published overnight. Market consensus is that the June figure may increase by as much as A$0.07bn increase over last month, which could see the GBP/AUD exchange rate weaken. Pound to Australian Dollar Forecast: Will Australian Data be enough to Hold up the ‘Aussie’ amid BoE Decision? Two key sets of Australian data are incoming which may affect AUD value. There is the aforementioned Balance of Trade figures which could see the first uptick in the ‘Aussie’, followed by manufacturing PMI data from AIG which may have a medium-level impact on AUD trade, although a decrease in the figure is forecast. Any gains made in these figures may be purely incidental if the Bank of England’s (BoE) rate decision is favourable to GBP, which would likely see the GBP/AUD exchange rate rise. Initial forecasts have the Australian manufacturing PMI data falling below the previous measurement, causing investors to stave off the risk-correlated AUD for now. Next ArticlePound to Euro Exchange Rate Forecast: Could GBP/EUR Continue to Tumble Despite BoE Rate Hike?